a long straggling place with ditches on either side; the passages to the houses being over little bridges. 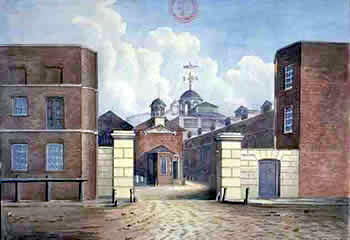 The prison was burnt down in the Gordon Riots of 1780 , but even now prisons are colloquially known as 'the clink'. Virtually on the brewery premises was a noisy and dusty stonecutter's yard. Behind lay an old burial ground, and behind that, an open sewer. 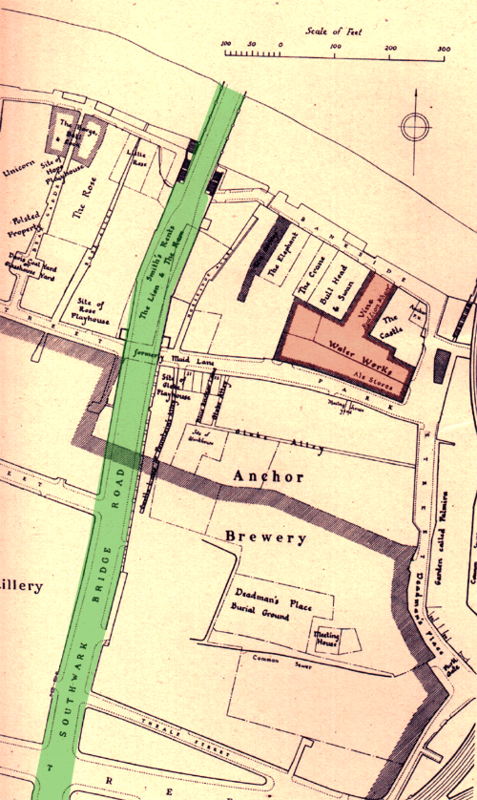 Then there were the tanneries and Messrs Potts's vinegar factory. Mixed in were odd patches of open space locals used as tenter grounds for stretching cloth. Like his father, Henry expanded the business and in the first year of his ownership alone the value of plant and equipment rose from £3,569 to £7,110 as a result of upgrading to more modern production increasing equipment. 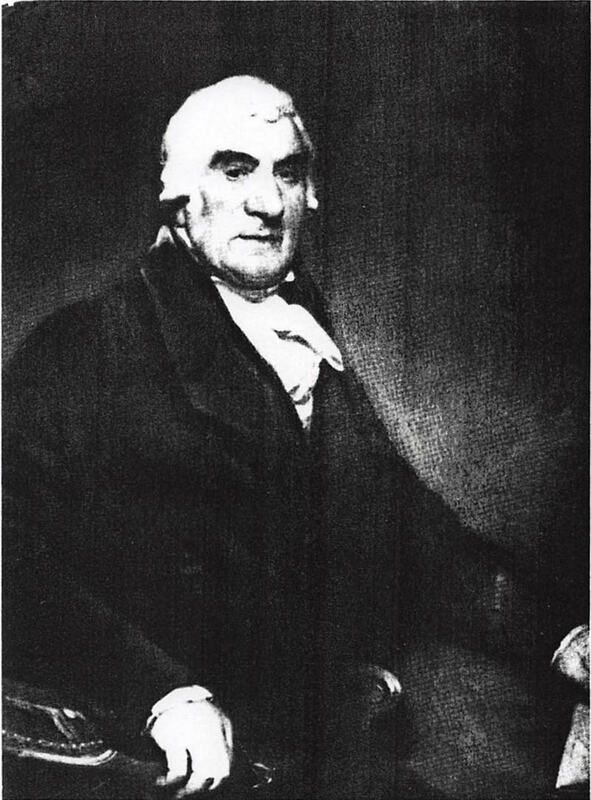 Henry was a pioneer in using a hydrometer and was the first major brewer to use it, in contrast to Whitbread, who Henry was determined to out brew. 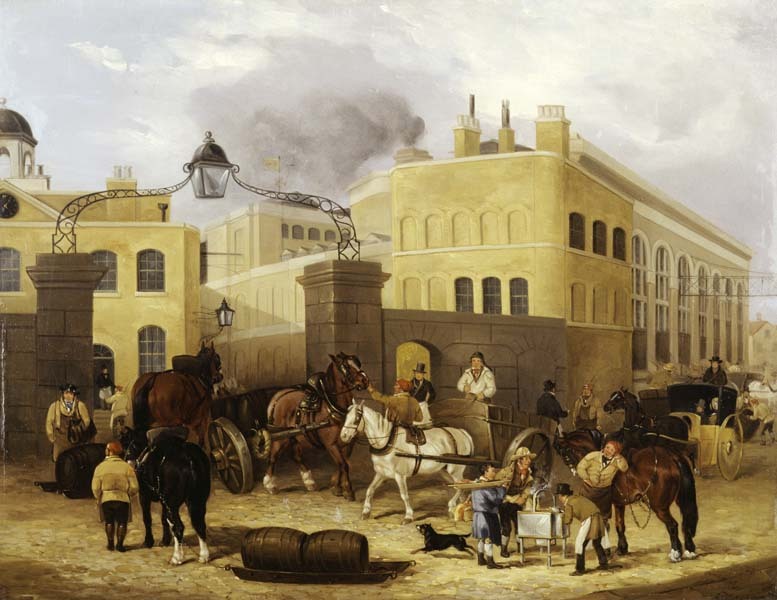 The brewery was also well known for it famous Thrale's Russian Stout  and by 1760 Thrale had by become one of the top ten porter brewers in London. 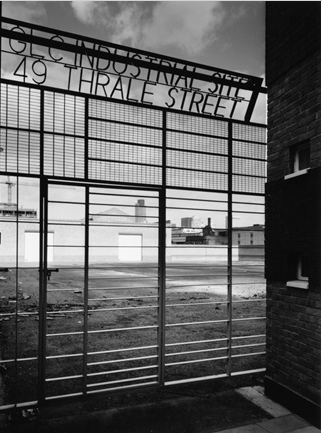 By 1760 Thrale's brewery was producing 30,000 barrels a year. 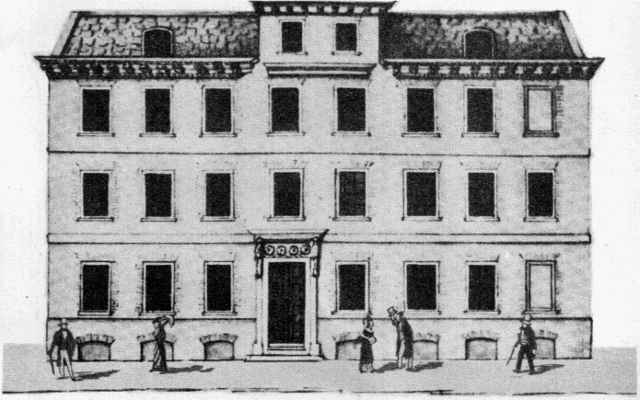 In 1764, Henry purchase more land, including The Castle  inn. In 1772 Henry Thrale almost went bankrupt by the expense of a scheme for brewing beer without malt or hops. They were in debt to the tune of £130,0006. Hester Thrale raised money from her mother and other friends and cleared the debt in nine years. 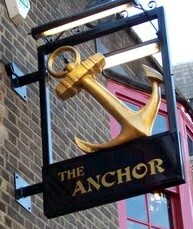 From this point on she took an active role in managing the brewery and again after Henry's stroke in 1779. Cardess of the Blue Posts has turned refractory and applied to Huck's people who have sent him in beer. I called on him today however and by dint of unwearied solicitation - for I kept him at the coach-side for a full half hour - I got his order for six butts more. The Government, for the second year, have taxed the brewery so as to curtail our particular income not less than two Thousand Pounds Sterling a Year.—dreadful Times! In the midst of publick & private Distress, here is my mad Master going to build at the boro' House again:—new Store Cellars, Casks, & God knows what. I have however exerted my self & driv'n off his Workmen with a high Hand.—Is this a Time as Elijah say'd for oliveyards, & Vineyards? & Men Servants & Maid Servants? when our Trade & our profits are both decreasing daily? & the Nation itself stagnating with Imbecillity? I never saw any thing so absurd—surely his head is still confused; nothing but frenzy this Time excuse Expence to the amount of ten or twelve Thousand Pounds sure. " I examined our own Collections at the Brewhouse this Morning, & found the Difference between last Year and this Year in the Weekly Collections for one Month only—this present Month of July—to be irnmense—no less than seven hundred & forty five Pounds short of the Collections for the same Weeks in June & July last Year 1778. I will draw the Account out over Leaf as I receive it from the Clerk, but I wrote the Sum down in Letters to shew that no manual Mistake could have been made. Four Weeks collection 6340 : 12 : 4. Four Weeks Collection 5595 : 6 : 8. We shall brew but Sixty Thousand Barrels of Beer this Year! pretty Times indeed; and Mr Smelt saying he wishes we had more Taxes, & the King more power: I wish the King would put an End to this destructive War I'm sure; the Year before last we brew'd 96,000 Barrels—last Year only 76,000, & this Winter we shall scarece turn 60,000. So horribly is the Consumption lessened by the War. the men are thinking on their money, I suppose, and the women are thinking of their mops. 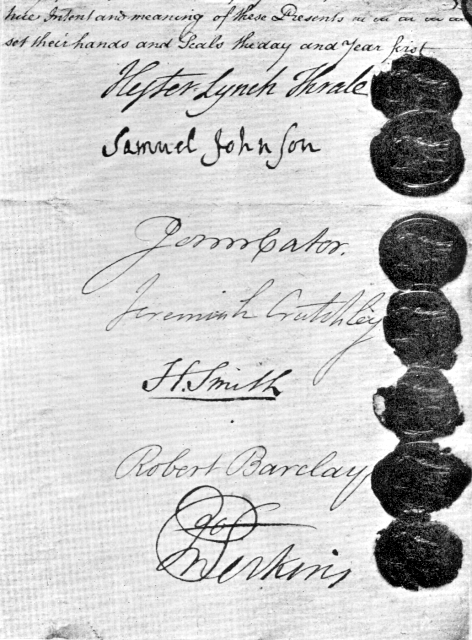 I do not see with so much indignation Mr Thrale's desire of being the first Brewer, as your despicable dread of living in the borough … it is the business of the one to brew in a manner most advantageous to his Family, and of the other to live where the general interest may best be superintended. You must take physick, or be sick; you must live in the Borough, or live still worse. the Borough Winter which of all other things I most abhor’, but determined that she must go to the Southwark house  '& hack at the Trade myself. I hate it heartily, yea heartily! 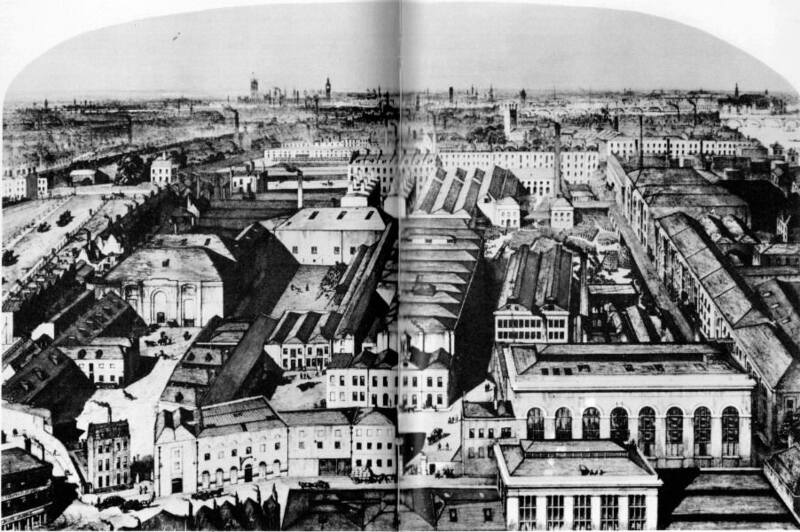 but if living in Newgate would be right I hope I should be content to live in Newgate. There is no doubt but that the wife of a trader who flatters himself that he has three or four thousand pounds o' year, lives in much more splendour than the wife of a gentleman who has three or four thousand pounds o' year estate: for the commercial man gains by his business a familiarity with money, tho' totally unmingled with contempt of it, which the aristocrat cannot possibly obtain — who sees his cash so seldom, & finds it so necessary to his happiness. Meantime my country baronet or squire has what he thinks he has, & his wife knows how much and how little that amounts to — as well as himself: but the merchant's lady never is informed of her husband's circumstances any more than his whore is; she cannot be let in to the mysteries of a large & complicated business — probably she could not understand it if she was inform'd, more probably she would talk of it among her female companions, and most probably the acct. of it would interest her so little, she would drive away to the auction hoping wholly to forget it. This villainous falsehood terrified us even for his personal safety, and Mrs. Thrale and I agreed it was best to leave Bath directly, and travel about the country. — Dr. Samuel Johnson . I got back to Bath again, and staid there till the Riots drove us all away the first Week in June:we made a dawdling Journey cross the Country to Brighton where all was likely to be at peace: the Letters we found there however, shewed us how near we were to Ruin here in the Borough; where nothing but the astonishing Presence of Mind shewed by Perkins in amusing the Mob with Meat & Drink & Huzzaes, till Sir Philip Jennings Clerke could get the Troops & pack up the Counting House Bills Bonds &c: & carry them which he did to Chelsea College for Safety;—could have secured us from actual Undoing, The Villains had broke in, & our Brewhouse would have blazed in ten Minutes; when a property of 150,000£ would have been utterly lost, & its once flourishing possessors quite undone. Let me stop here, to give God Thanks for so very undeserved, so apparent an Interposition of Providence in our favour. I left Mr Thrale at Brighthelmston , & came to Town again to see what was left to be done: we have now got Arms, & mean to defend ourselves by Force, if further Violence is intended. whenever I come on these mad Errands, Dear Mr Johnson is sure always to live with me, & Sir Philip comes every day at some Hour or another:—Good Creature how kind he is! and how much I ought to love him! God knows I am not in this Case wanting to my Duty. I have presented Perkins by my Master's permission with two hundred Guineas, and a Silver Urn for his Lady, with his own Cypher on it, & this Motto—Mollis responsio, Iram avertit. My master was not displeased that I had given Perkins two-hundred guineas instead of one—a secret I never durst tell before, not even to Johnson, not even to you. It is the greatest event of my life, I have sold my brew-house to Barclay the rich Quaker for £135,000. 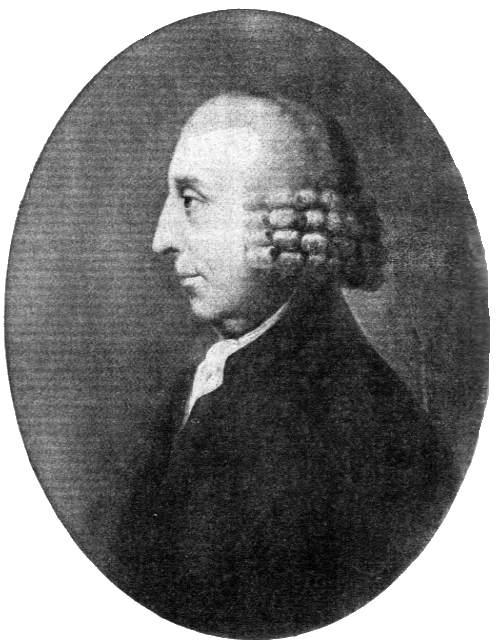 Henry Thrale died on 4 April 1781. 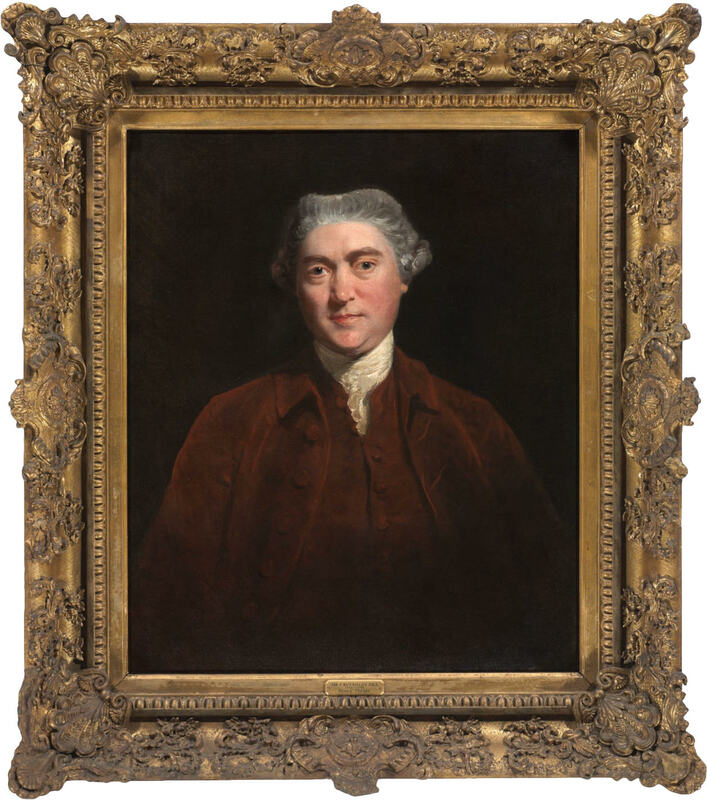 Hester Thrale lacked the necessary technical knowledge necessary to run the brewery and was in the hands of the brewery manager John Perkins. What can misses do with a brewhouse? Had ages and circumstances fitted, the solution might have been to marry one of the daughters to Perkins. But probably not, for his heavy, no nonsense north country features and the ungainly body look altogether too proletarian to be acceptable to society Thrales. 1. [Ralph Thrale]1  died 9 April 1758. 2. Opened in 1769, during the Thrale's time. 4. ELMES, James A TOPOGRAPHICAL DICTIONARY OF LONDON AND ITS ENVIRONS. London Whittaker, Treacher and Arnot 1831. 5. London and Its Environs Described. 8. In his letter to Hester Thrale on 5 September 1769. 10. At H. Thrale & Co Brewery. 11. Sir Richard Jebb the family doctor. 12. 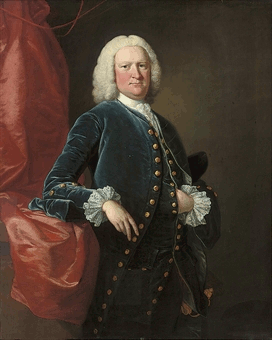 Henry Thrale died on 4 April 1781. 14. 1729-1809 and son of David Barclay the elder. 15. £13,500,000 or $30,000,000 today. 16. "The great Difficulty was in perswading my Coadjutors & Joint Executors to be all of my Mind at the first; but the retirement to Brighthelmston gave them time to do all they could do without me, & gave me time to feel my way to their Hearts when I should return to Streatham—like King William who lay by during all their Deliberations, & appeared in his own Cause at the critical Moment:—a conduct I always admired, but little expected an Opportunity of imitating. Johnson was hardest to gain over to my Intentions of quitting, but the small quantity of Cash, the immensity of the Capital, the Consciousness that the Risques we run were ours, the Profits—if Profits—were not to be ours-frighted & convinced him, while the united opinions of Scrase & Cator two Men whom he highly esteems-settled his Opinion to part with what had flattered his Imagination in the keeping most earnestly. Crutcheley—a tim'rous Character, was soon perswaded to a State whence Trouble & Hazard were excluded; Cator had no Heart of continuing a Business He did not understand, & Smith a ductile Minded Creature took no Interest in the Affair I think-so all ended happily, without quarrel or dispute; & I & my Executors are the dearest Friends alive— much feared we should sadly disagree—but a little Management!—and a Woman to manage will always do, & as old Dr Fitzpatrick used to say—You may rely on it. Mrs. 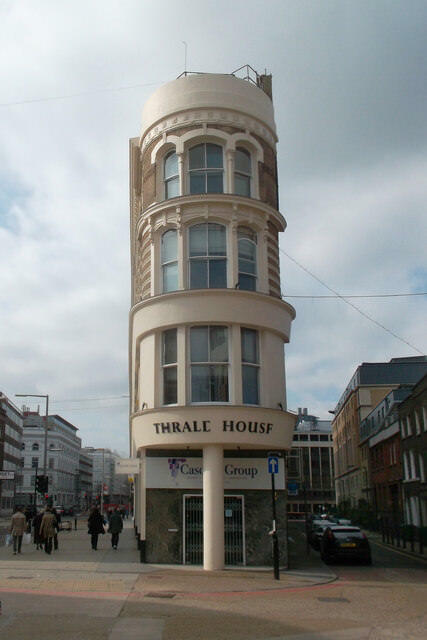 Thrale." 17. A Mr. Sylvanus Bevan also took a fourth share at this time. 19. Upon being pressed for payment in January, 1783, he replied in an injured tone that he thought he deserved better treatment, and that he could not pay anything at that time. John Rylands Library. Eng. MS. 600. James James died in 1689 and the property was sold by his legatee, James Coysh, to Walter Gibbons who in 1725 sold it to Edmund Halsey . 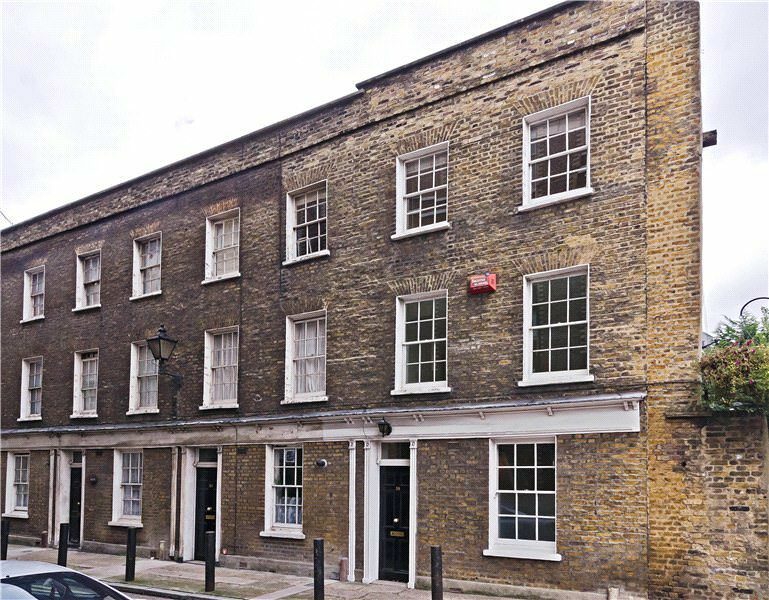 By the time Henry Thrale , purchased the property in 1764, a great many buildings had sprung up in the vicinity and the premises were in a tumbledown state and was pulled down. 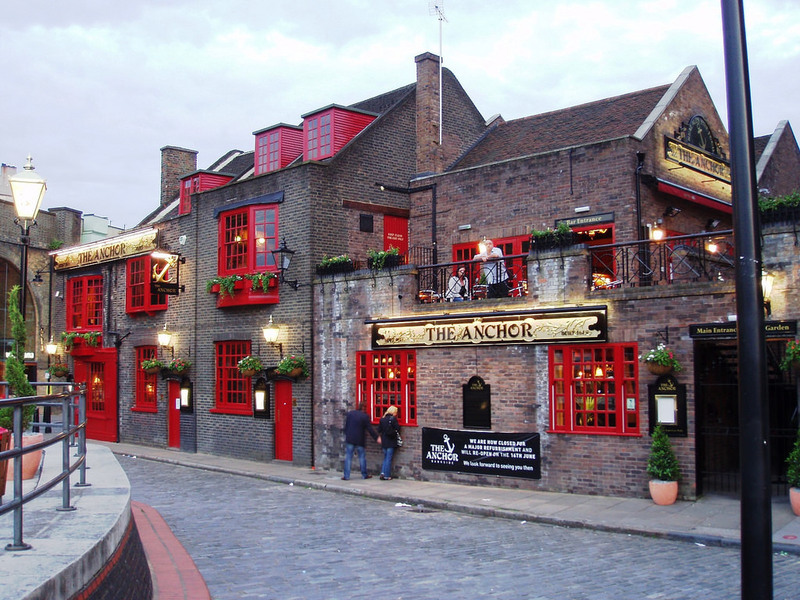 Formerly known as Castle Street, Thrale Street is located in Bankside, London, not far from Park Street, the former site of Anchor Brewery .